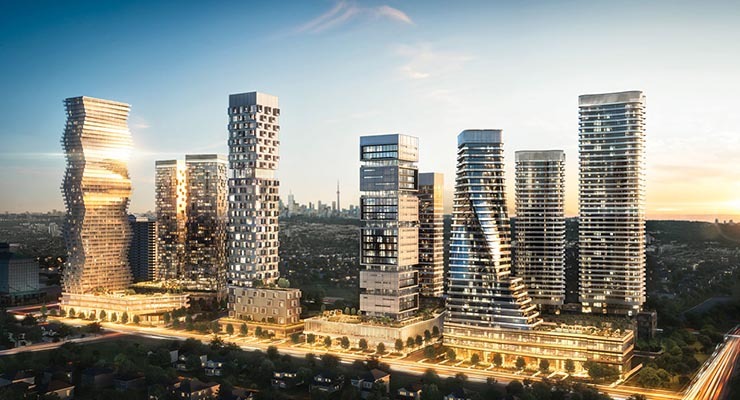 While Mississauga’s downtown core has welcomed many new condo projects in the past couple of years alone, few have exhibited the sheer scale of M City – an ambitious master plan to bring 10 condo towers to the area southwest of Burnhamthorpe Road and Confederation Parkway. The project represents the first foray into real estate for the Rogers family, founders of the Rogers Media. For M City, Rogers Real Estate Development Limited is teaming up with the experienced team at Urban Capital – whose previous projects include IHMG’s very own The Ravine in North York, and River City in Toronto’s West Don Lands. “In 2007 Urban Capital and Rogers Real Estate Development Limited began the meticulous journey of taking a 15-acre greenfield site through master site plan approvals,” explains the project page at Urban Capital’s official website. While M City’s registration page is already live, buyers will likely have to wait until early 2017 – when the project is tentatively set to launch – to get further details on pricing and suites. Urban Capital has revealed, however, that M City will include “a 14,000-square-foot amenity terrace with an outdoor pool and ice skating rink. According to the project’s first official press release, the first tower to be constructed will rise 51 storeys high, and feature a “striking, undulating” design by CORE Architects’ – the winners of an exclusive design competition between three of Canada’s top firms. 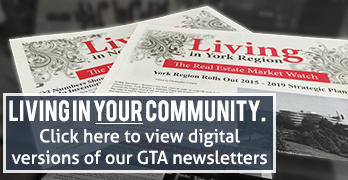 “Mississauga is off to a great start in establishing its downtown core. You have an identifiable eastern gateway with the Absolute Towers as well as some great public spaces in the area like Celebration Square, City Hall and the Living Arts Centre,” explained Donald Clinton, the project’s lead urban designer. Residents will also enjoy access to GO transit – as well as myriad shopping, dining and entertainment options – at nearby Square One. For those interested in learning even more about the neighbourhood – or buying in a nearby community that is closer to completion – Living Realty’s Mississauga branch is conveniently located just a few blocks west of the M City development site. Click here to get in touch with a branch team member today.